This book took me a really long time to read. That statement alone would probably turn a lot of people away from reading the book, and that's most likely for the best. 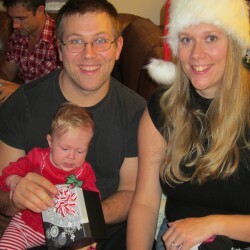 It's not a book meant for everyone (if there really is such a thing). A gorgeous, dense and allusive novel that is surely fantasy but barely reads like it, this isn't what anyone would call a page-turner. Instead, it's a dreamlike meditation on the intersection between magic and the real world, between fate and cynicism, between Faerie and family. It's slow-moving, for sure; that's basically what prevents me from rating this book higher, and it's what would prevent me from recommending it to most people I know. However, if one has a love for the English language and what it is capable of, and if one is not afraid to be taken on a journey that is simultaneously lyrical and prosaic, then there is a lot to love about Little, Big. Even the most scathing reviewer would have to admit that the book is written very beautifully, and although it's not strictly necessary to appreciate that aspect of it, I believe that Crowley's prose is meant to convey that sense of dreaminess that pervades Edgewood and the affairs of the Drinkwater clan, and it does this extremely well. I felt, when reading the sections involving George Mouse, that I was sharing his hashish high with him, though I was stone-cold sober while I read it. Similarly, Crowley's prose conveyed perfectly to me Smoky's scepticism, Sophie's somnolence, Auberon the younger's anger, and later, his despair to such a degree that I swore that these emotions were actually my own. I've read a lot of books in my time, and that sort of thing just doesn't happen to me very often. 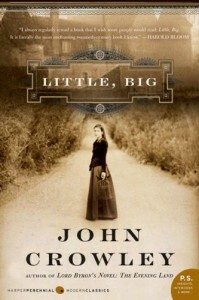 Little, Big is sort of an anti-Tolkien fantasy, although not because of any intent on the part of the author (I think). It really tries to take fantastical elements and blend them with a literary sensibility, though with a marked absence of overblown heroics or a quest narrative. Instead of invincible superheroes, this is a book about regular people trying to lead regular lives in an irregular, or perhaps more accurately, a magically regulated world. It is a story about The Story, and the ending is both confusingly jumbled and completely inevitable.